RP50813SS is rated 3.7 out of 5 by 38. Rated 1 out of 5 by Justin from Lack of replacement parts I am now about to be on my third soap dispenser to match my faucet. The plastic cartridge inside sticks after you push down for soap instead of popping back up. At first, it was just a nuisance, but it gradually gets worse until the device is entirely unusable. Unlike some other brands where you can take an assembly apart to get to a busted spring, this one does not appear to be user-serviceable. I can't believe that Delta doesn't sell a replacement part for the little cartridge. Shame on me for not saving receipts - I mistakenly assumed it was just that my first one was a dud, but it appears to be a design flaw. It is looking like it will be more economical for me over the life of my kitchen to replace my entire faucet with another brand rather than continue to replace these. Rated 1 out of 5 by Kathie from Dud The soap dispenser doesn't work. I think it is the spring in it that isn't working so it is useless. Rated 3 out of 5 by AmeliaM from Pump pumps most days It is an inexpensive item with moving parts, there are times when it doesn't pump, especially when I need to use it a few times, so while it remains on my sink five years later, and works when used occasionally, it is not my primary source of dish soap any longer. It gets caught/stuck in the down position. Rated 2 out of 5 by DPAinCT from No replacement parts available The soap dispenser (RP50813SP) worked great for about 4 years. Now the pump assembly is seized up, but Delta doesn’t offer the pump assembly (probably an $8 part). Delta only sells the entire soap dispenser for $48. After reading the reviews on this site and others the pump should be a replacement part. Rated 2 out of 5 by homeowner from Not so perfect soap dispenser Very cheep looking and flimsy. Rated 5 out of 5 by Julie from Excellent addition I brought this when we had a kitchen updated. Nice to not have a soap bottle sitting on top of the sink. The container holds about a half a bottle of dishsoap. Rated 4 out of 5 by Jakes dad from sleak design This soap dispenser works great. One smooth pump is all you need. Rated 4 out of 5 by wtorrance from Love it, but can't refill it- need better instructions to refill? Just haven't figured out the best way to refill the bottle. The plumber says I need to go underneath the sink, unscrew the bottle, then refill it - The brief instructions say you can refill the dispenser from the top of the sink, but no information on exactly how to do it. Lucky it's not ready to refill yet. The bracket for my under mount sink is right where the bottle would attach, is there an extension kit? Thank you for your question. 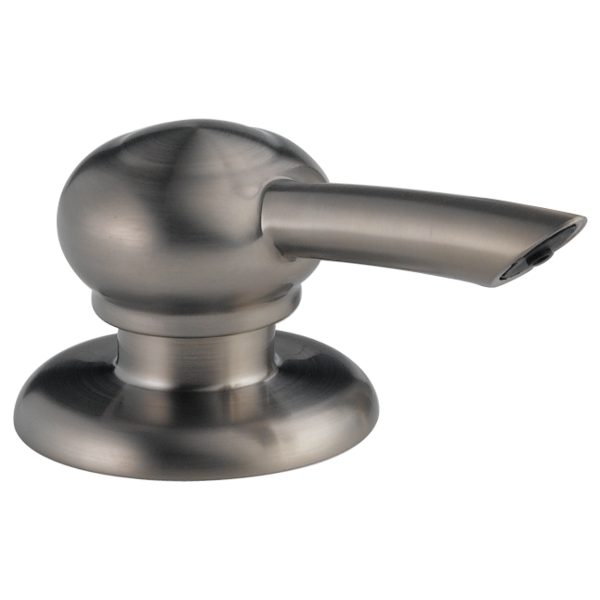 We do have an extension kit for soap dispensers that would add 1&quot; to your model. 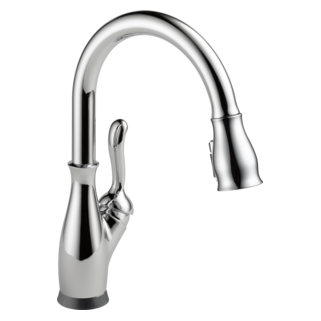 You can purchase Delta Faucet model # RP31845 from your local retailer or wholesaler. Thank you for your question. Delta Faucet model # RP50813 holds 13 ounces of soap. Does this soap dispenser match the 9178-AR-DST faucet? Is the top portion made of metal or plastic? How do you refill the soap dispenser? Is it from above or below the sink? Thank you for your question. 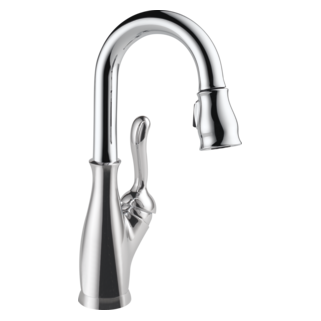 Delta Faucet model # RP50813 is refilled from the top of the sink. What is the hole size requirements? 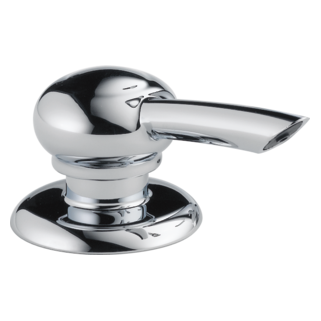 Does delta have a foaming (hand) soap dispenser in arctic stainless (or any finish)?